The 144-minute running time showcases Jackson’s worst tendencies: eons-long battle scenes, sloppy and abrupt resolutions, portentous romances, off-rhythm comic timing, and, newly in this case, patience-testing fan service. The trouble is that Jackson can’t make it mean very much: when every life on Middle Earth is seemingly at stake, few individually grab our attention. There’s more aftermath than plot left, and very little of it has to do with Bilbo (Martin Freeman), who feels increasingly like a forlorn bystander in his own franchise. A fitting conclusion to Jackson’s prequel trilogy and a triumphant adieu to Middle-earth. Now complete, The Hobbit stands as a worthy successor to The Lord Of The Rings, albeit one that never quite emerges from its shadow. The Hobbit: The Battle of the Five Armies promises to be the New Zealand director’s final excursion into Tolkien territory, and for that some praise is due, for staying the course if nothing else. The first Lord of the Rings film, The Fellowship of the Ring, was released almost exactly 13 years ago, in 2001, and the six instalments of the Rings and Hobbit trilogies make up a remarkably homogenous body of work. Like Agatha Christie’s detective novels, there would appear little in the way of aesthetic – as opposed to technological – progression; having set the tone so definitively at the outset, each film delivered exactly what it promised. After all the initial fuss and bother about the 3D and 48 frames-per-second images, Jackson and his visual team made the necessary technical adjustments to smooth things out, the result being a strong, robust looking, CGI-dominant film with great detailing and gargantuan imagery. So, a bit of a mixed bag. Certainly. She makes it sounds pretty good. I can't believe it's still over a week before it's released in the USA. I'm feeling a little impatient. It's like ripping off a band-aid. Just do it already! I'm not sure why you have to wait so long, Chris. I always thought it had something to do with New Zealanders hating Australia. For some reason Australia often has really long delays for movies. Also, the film comes out in some European territories tomorrow (including midnight/late PM showings in Norway, if I'm not mistaken), so we'll need a thread for impressions from forum members. Indeed we will! Norc's adorations of Thranduil forthcoming! Eldorion wrote: For some reason Australia often has really long delays for movies. Each theater... or 'dingo' as it is called by Australians... is delivered the films by faithful but underpaid wallabies. And you can believe that because it's not from Wikipedia! So... 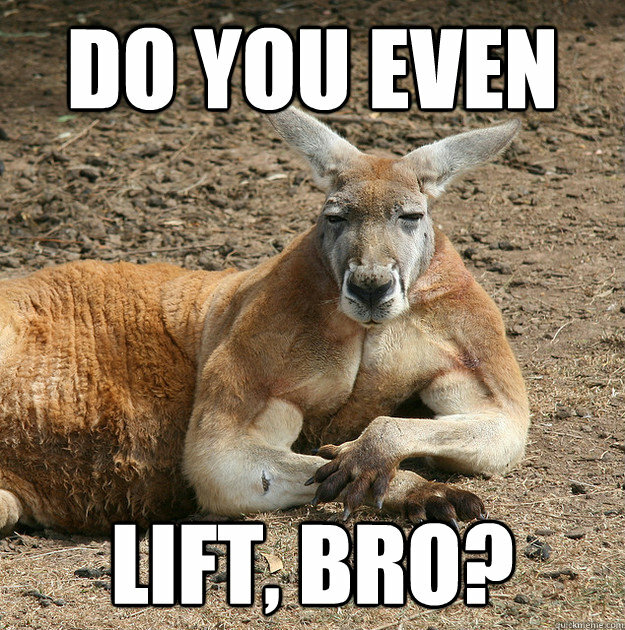 When Australians say, "Dingo ate my baby!" They're really saying, "My child chose to follow a career in theatre!" It all makes so much sense now. Spot on Forest! Or as the Germans say: spot on Wald! You will just have to, Chris. "Skirts!" cried our respectable Master Odo. "Skirts! And they have the temerity to call them 'kilts'.... Eru darn my socks!" From "The True Tale of the Un-magical Coal Scuttle." A lot of English speak German. hey Sin hope you are doing ok. are you feeling better? Mrs Figg wrote: hey Sin hope you are doing ok. are you feeling better? well you know what they say, "If you can't say anything nice, Don't say anything at all"
good to hear you are walking miles. that's pretty great. Good to hear things are going the right way Sin- keep yer pecker up! Watched the review of BoFA on the BBC Film 2014 show. "Its all over- are you relieved?" "I am very relieved. Basically its one giant battle scene. Its a million dollar scrap in a car park...as a film lover I have always felt PJ was a very mixed bag, but he has always put on a good ruck. My great advantage in watching TH films is I have a life long indifference to Tolkien, I don't care how faithful these are to the books or otherwise." (Other reviewer) "I am just really disappointed. I mean Jackson has been afforded the opportunity to tell this story beloved of millions of people around the world, and given the budget to do it, and he has said nothing with it.....the way PJ has constructed these films is a very bitty, piecemeal process....there is also a lot of toilet humour which Jackson loves worked into it, I mean the first line is a joke about constipation. And it means the film is tonally incoherent and it has no idea what it is trying to say or do." Presenter- "Don't you get the feeling that Jacksons heart was not in this...for example the death scene of Boromir in FotR....that was a genuinely frightening and sad moment....there isn't a moment to compare with that is there?" "The problem is the films have become completely lost in cgi...Legolas looks like someone has put a tunic on a mini-milk icelolly, springing about these rocks like sonic the hedgehog. These are being treated like Jacksons own prequel to his lotR's film, not a Tolkien adaptation." I usually record the BBC Film show but I missed that ep, unusual to have three reviewers so critical, most of the reviews I have read are relatively positive. One of them thought it was basically ok- like I said, he was hardly enthusing about it, but he seemed to enjoy it for what t was- the other two really were not favourable at all however. The ep is on the iplayer. Pettytyrant101 wrote: Good to hear things are going the right way Sin- keep yer pecker up! ''These are being treated like Jacksons own prequel to his lotR's film, not a Tolkien adaptation." that in a nutshell is what its all about. Mrs Figg wrote: ''These are being treated like Jacksons own prequel to his lotR's film, not a Tolkien adaptation." It's too late. It's been too late for years now. There was no coming back from the inevitable course these films took, though it's funny how so many people hung on and continue to do so hoping for some kind of book-like payoff. The Hobbit movies that could have been never happened. And we don't even get a lazy semblance to the book in the film's closing, apparently. So I figure one has two options. Ignore the final film (which is close to impossible, though would be a mark of strong character), or just go see it and get it over with, friends and popcorn bucket present. And then get drunk and talk about how awesome the films could have been. This is completely unrelated to the topic at hand, but parzival, I have to say that the Smaug in your avatar looks like he's thinking "do you even lift, bro?" If his feet were touching he'd look just like that one kangaroo. 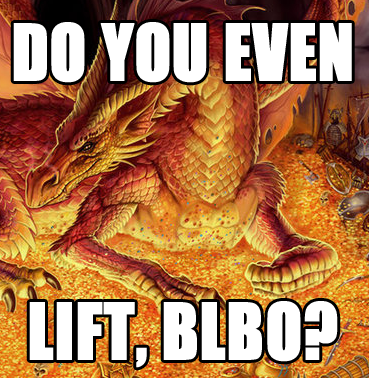 Eldorion wrote: This is completely unrelated to the topic at hand, but parzival, I have to say that the Smaug in your avatar looks like he's thinking "do you even lift, bro?" If his feet were touching he'd look just like that one kangaroo.